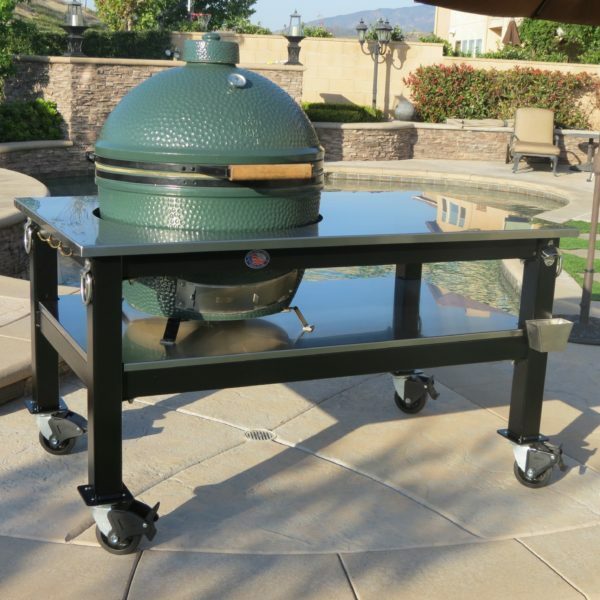 This Brian Alan Table was built to accommodate an XL Big Green Egg. This table was built with a 316 Stainless Steel Top and Lower Shelf on a Black Powder Coated Frame. Standard features include a Stainless Steel Pull Bar, Bottle Opener and Catch Can, Brass Utensil Hangers and 5” Solid Rubber Locking Casters. Stainless Steel Tie Downs were added to this build as an add on option.